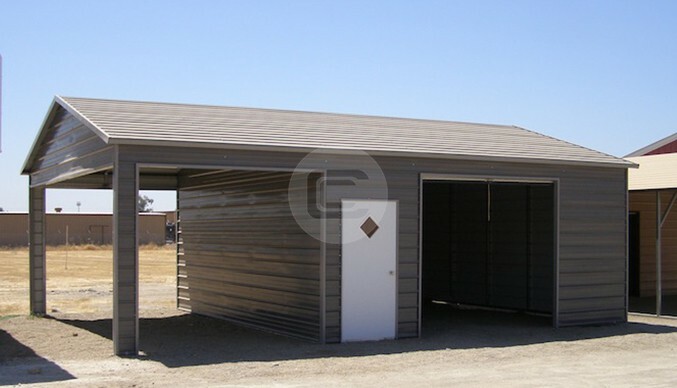 Featuring a 30×40′ Metal Shop Building with Vertical Roof Style. This Metal Shop Building is fully enclosed with vertically oriented sheet panels. Actual measurements of this shop building are 30′ width x 41′ length x 12′ height (frame is one foot shorter than actual length). 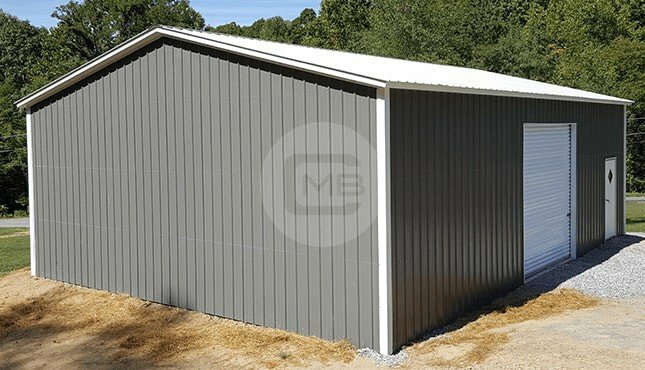 This prefabricated 30×40 Metal Shop Building is certified to withstand strong weather elements – it has additional anchors and braces to stand strong in 140 MPH wind load and 35 PSF Snow load. You can anytime upgrade and customize it to fit your needs. With a 1200 sq. 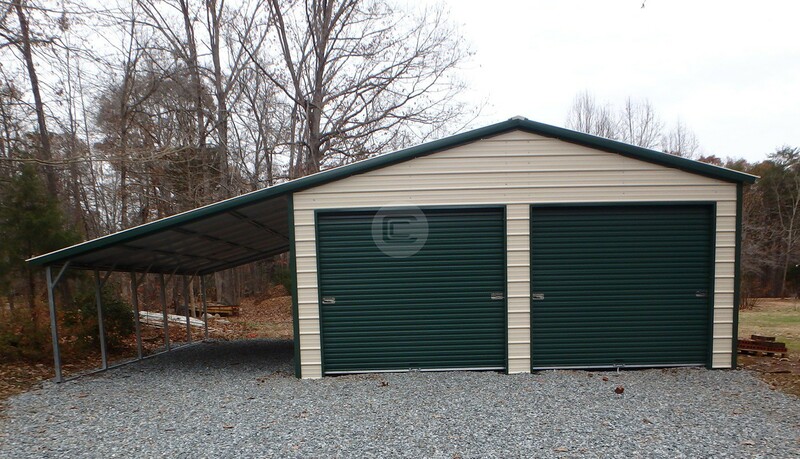 foot clear span storage area, this 30×40 shop has a 10×10′ garage door and a 36×80″ walk-in door.